New ideas spark the imagination of smallholders, whether they have experience with the topic or not. We saw this last week in Nanegaon, a village just outside of the booming city of Pune, India, where farmers reviewed four fact sheets written by our 12 adult students. A fact sheet is only one page, so it has to narrow in on a specific topic. The first fact sheet suggested cleaning maggots from wounds on cattle with turpentine, a common disinfectant distilled from pine resin. One man, Hanumant Pawale, read the fact sheet quickly, pronouncing the text clearly in a booming voice. 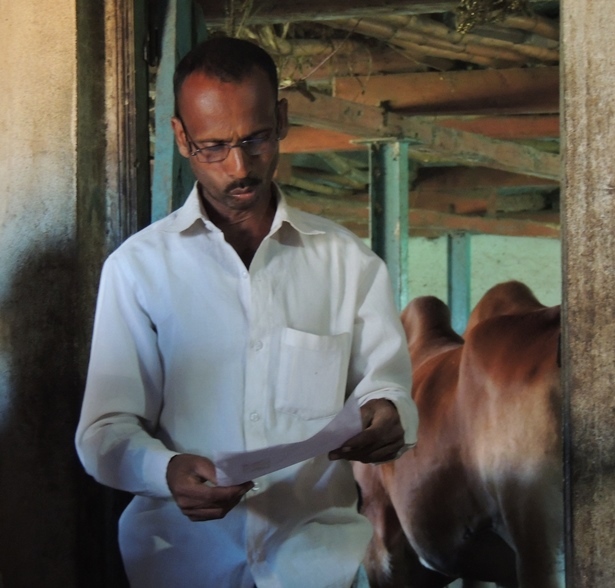 When he finished, several farmers began to speak, adding ideas they wanted to include in the fact sheet. 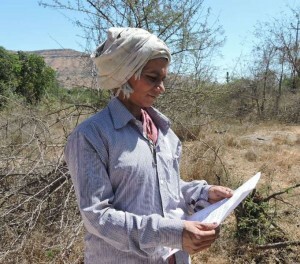 The first woman said that here they treat the cows’ wounds with kerosene, which is cheaper than turpentine, and is available at shops in the village. Her neighbors mentioned other products to treat cattle. We had wondered how farmers removed maggots. One of the farmers went to get a pair of tweezers to show us the tool that he used for plucking maggots from a wounded cow. 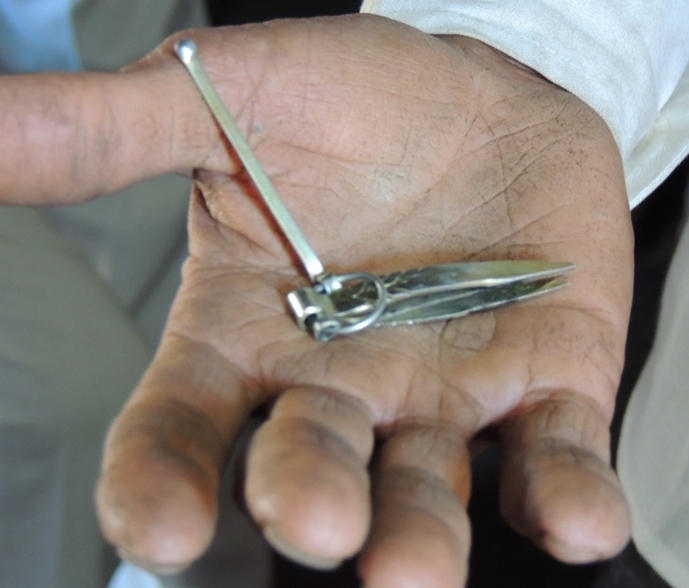 Tweezers may be too sharp for such a delicate operation, but every household has a pair of tweezers, and they work if you are careful not to poke the cow’s flesh. The farmers shared another important insight with us: it is best to avoid letting maggots grow in wounds in the first place. The villagers keep their cattle healthy by looking for wounds. Cows lick their wounds, the villagers explain, and if people see a cow licking her wound, they know that she needs some care. The authors of the fact sheets got excited about improving their fact sheet by taking the farmers’ ideas on board. It was a great meeting, but there was one little problem. After the first woman spoke, only men took the floor. Later I mentioned this to Pooja, one of our participants. “The women won’t speak if the men are there,” she says matter-of-factly. After meeting with the dairy farmers I went with two young men, Ajinkya and Pradeepta, who were writing a fact sheet on mulch: a simple layer of straw or leaves put on the soil surface to keep in moisture. We met a farmer, Mukta Naranyan Sathe, who was just setting down a pile of small, delicate legumes onto a tarp, for threshing. Mukta-ji had never heard of mulch, but she was interested. After reading the fact sheet, she understood that mulch helps to conserve water. 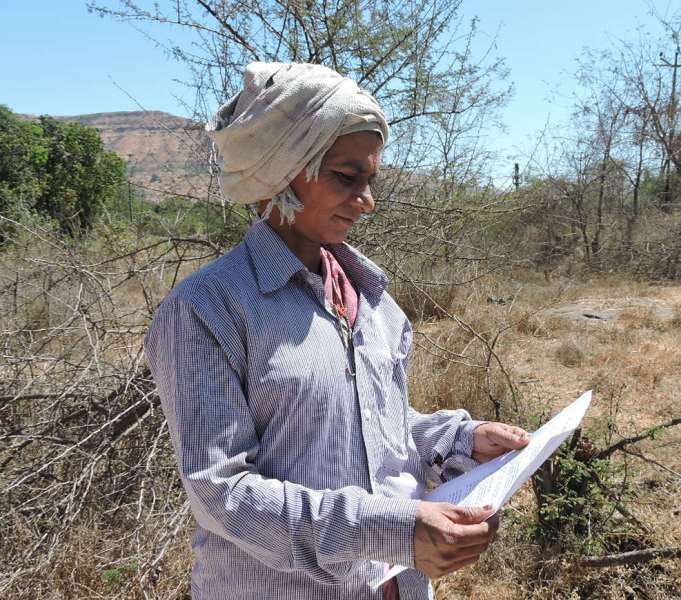 But, she told us that she did not really need to conserve water, because Nanegaon has abundant irrigation, provided by seven or eight bore-hole wells. Even so, the fact sheet still inspired her to think creatively. She imagined that a large plant could be mulched with whole straw, but for a fragile herb, like fenugreek, the straw would have to be cut into small pieces. We were soon joined by Mukta’s great nephew, Ganesh Dhide and a friend, Shubhan Pawale. They read the fact sheet and then all of them began to imagine ways of making mulch. They said that instead of burning the leaves off of sugarcane (a common practice which makes the cane easier to harvest), they could use them as a mulch. They added that they now have a clear idea of mulching and that if one person tries it, and it works, the others in the village will surely adopt the new ideas as well. The villagers could tell us practical ways to cure wounded cows but didn’t know about mulching until the fact sheet caught their imagination. Even so, they thought of two new ways to make mulch not mentioned in the fact sheet: cutting straw for fenugreek, and using sugarcane leaves. Farmers are inherently creative, and relish new ideas. We do not know if the farmers will adopt any of the ideas in the fact sheets, but before trying a technology one must first imagine doing something new. Our readers had already taken that step. The first photo is by Mohan Dhuldhar. The second one is by Ajinkya Upasani.